Create a beautiful and durable setup throughout every room when you choose a new set of waterproof flooring in Eugene, OR, from our showroom. At our local store, we offer a full selection of products from some of the leading names in flooring today. Whether your goal is to upgrade your kitchen, bathroom, or another space, you are sure to find the right option when you shop with us. 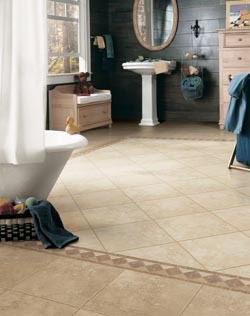 Our collection of waterproof luxury vinyl flooring includes styles and patterns that fit with every taste preference. Visit us today to discover our beautiful materials for a look that lasts. If it has been a long time since you last updated the look of your home, it may be time for a change. Homeowners looking for a way to enhance their space without overspending will find everything they need for their remodeling job at our showroom. Our collection of waterproof vinyl flooring includes options in a series of colors and styles from top brands like Downs H20 and Tigressa H20. Basements, bathrooms, and every other moisture-prone part of a home will stand out with a new set of flooring. Our selection of waterproof flooring materials allows you to create a bold new style throughout every room. With all of the things you have to do during the day, stressing over keeping your floors clean should not be one of them. Waterproof flooring is made of a unique construction design that allows it to withstand damage caused by pet stains, spilled beverages, and other liquids. All it takes is a vacuum or dry mop to remove dirt, grime, and other debris from the floors. From the moment you walk through the door of our showroom, you can trust that we will deliver top service throughout the purchase and installation process. Our sales professionals are happy to help you choose the perfect product for your space. We answer any questions you have about our materials so that you can make an informed decision on your purchase. Do you have an idea in mind of how you want your new floors to look? No matter what style you want in your space, there is an option for you at our local showroom. We make it easy for you to upgrade the look of your residence without overspending on your materials. Contact us in Eugene, Oregon, to speak with us about the benefits of waterproof flooring. We proudly offer waterproof luxury vinyl flooring for customers throughout the area.